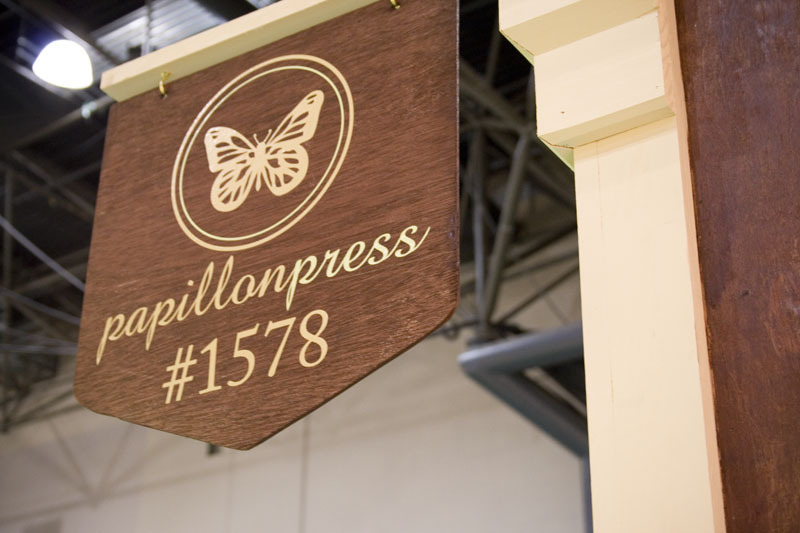 Papillon Press is a letterpress and illustration studio located in Westport, Ontario, Canada that specializes in illustrated greeting cards and paper goods. Our greeting cards, note cards, gift tags, thank you cards, stickers, etc. all feature our hand-drawn illustrations and are printed by hand on our 60 year-old letterpress. 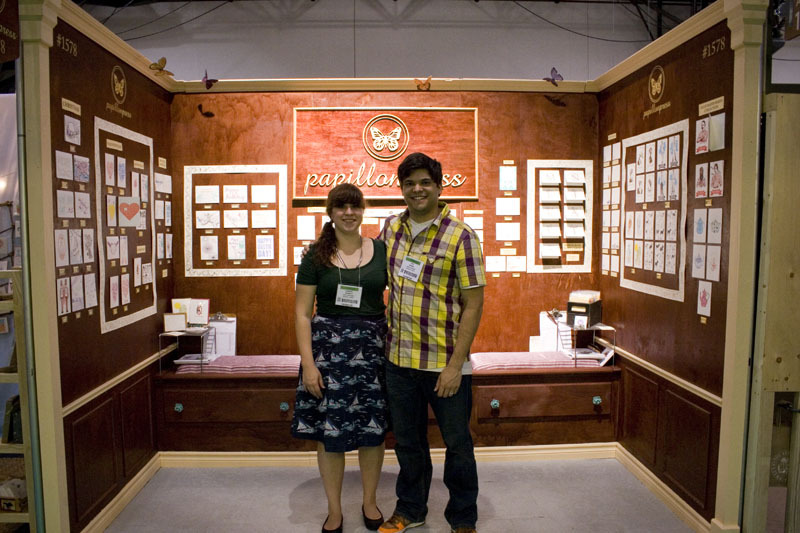 This was our first showing at NSS and we’re very happy with the results. Our line has been picked up by many new stores in the U.S and some in Canada (stay tuned). 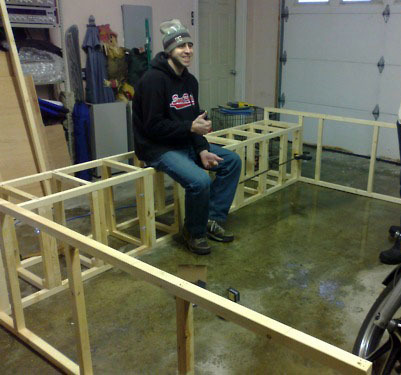 Chantal’s brother, engineer extraordinaire, was kind enough to donate his carpentry skills in the building of our booth in the dead of winter. 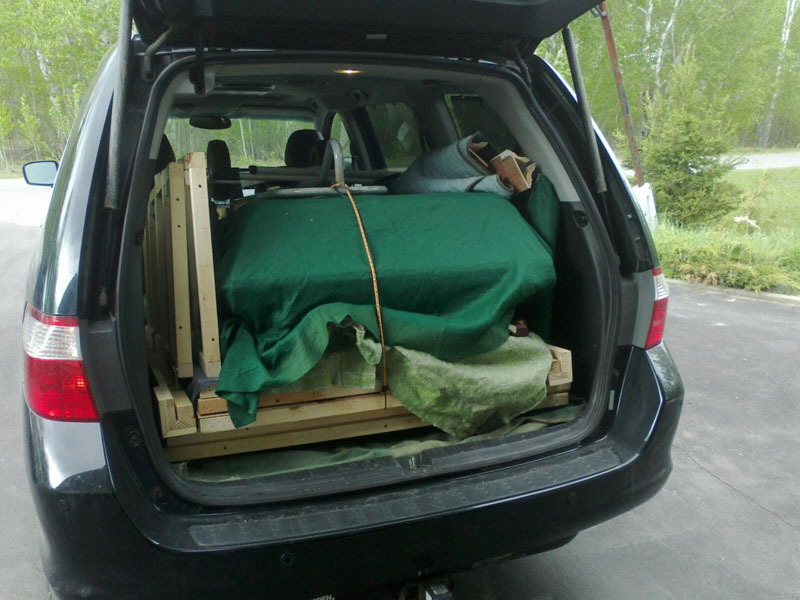 We knew we wanted something reusable because we were planning on driving it all down to NYC (only 17 hours away) in our minivan, so it had to be a modular booth that came apart in pieces small enough to fit in the minivan. 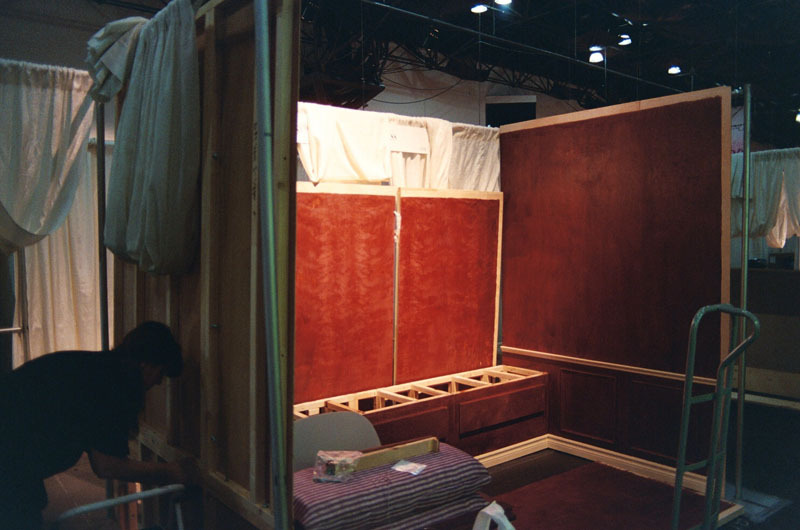 We also knew that the booth had to assemble without using any tools because we had heard that the union at the Javits Center were very strict about using their unionised labour for any assembling. And thus, being frugal, we wanted to assemble it ourselves so…no tools. We gave my brother a hand-drawn sketch which included a built-in bench that doubled as storage, wainscotting and basically said that we wanted it to look like a well-appointed Victorian library, minus the stuffiness. 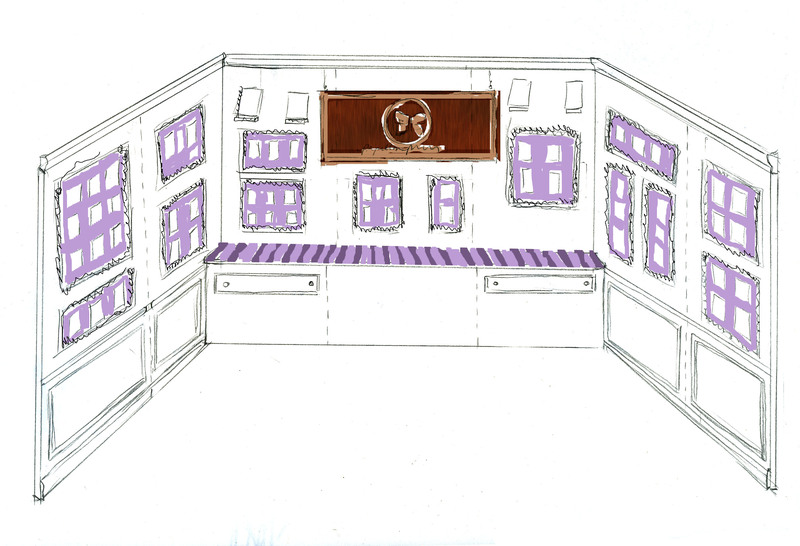 Hand-drawn sketch of our booth, given to Chantal's brother: "Make it work"
The framing done. What a team effort. The hard part is done. 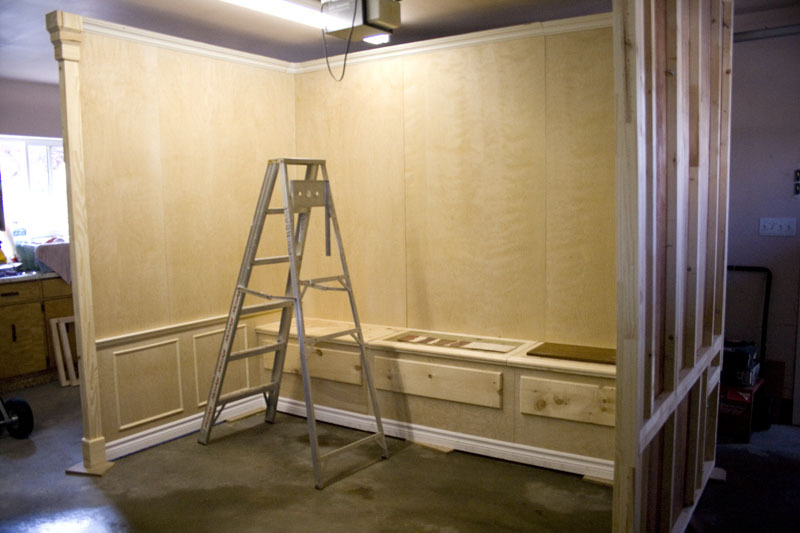 Now to stain the walls and decorate. New York is a 17-hour drive from Sudbury, so one full day of driving brought us to Syracuse, NY where we stayed overnight (and had our first Ruby Tuesday experience…not bad!). 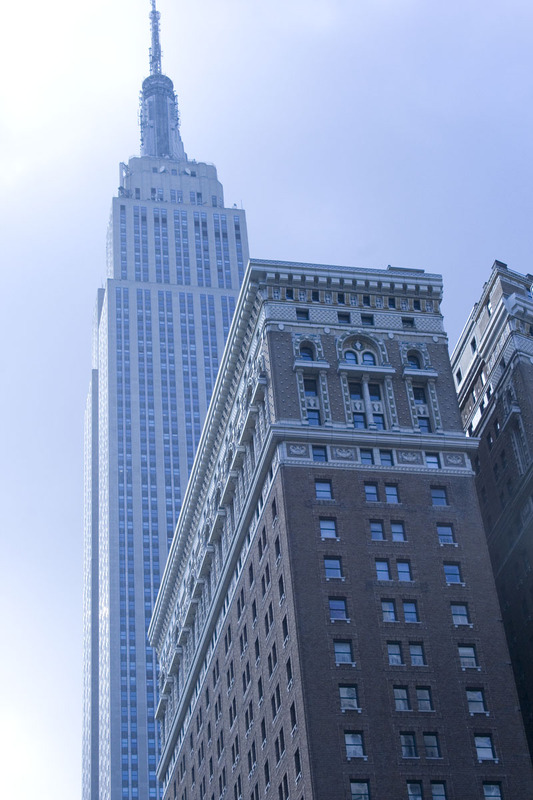 The last bit of driving from Syracuse was not uneventful: after a tire exploded on the highway and flew at the van and after Chantal pulled something in her neck (being unable to move her neck for the next day or so) we finally made it to NYC. The booth is disassembled and packed into the van. NSS here we come! 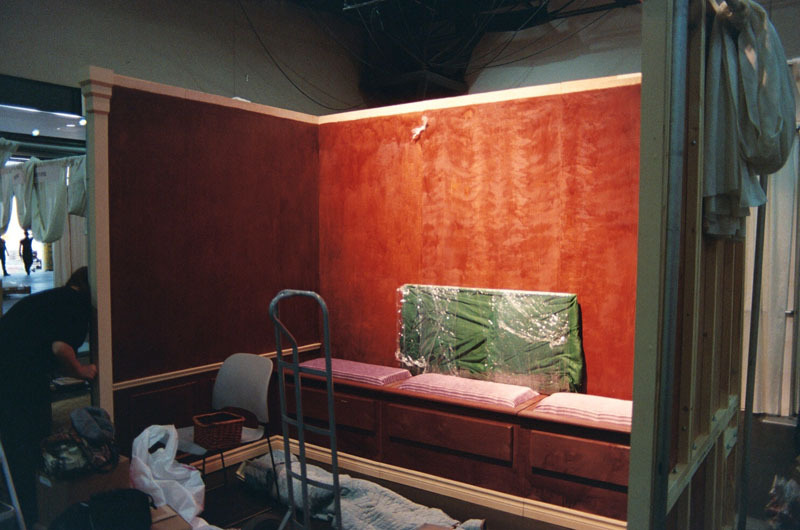 Aside from being yelled at once because we were unloading too slowly, setting up the booth at Javits was a piece of cake. 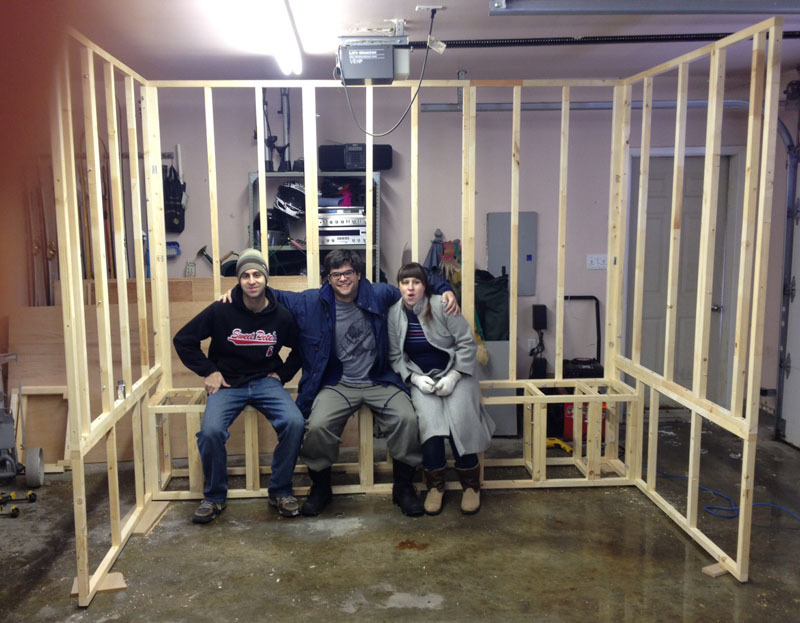 We can’t thank Chantal’s brother enough for making the booth so damn easy to assemble! 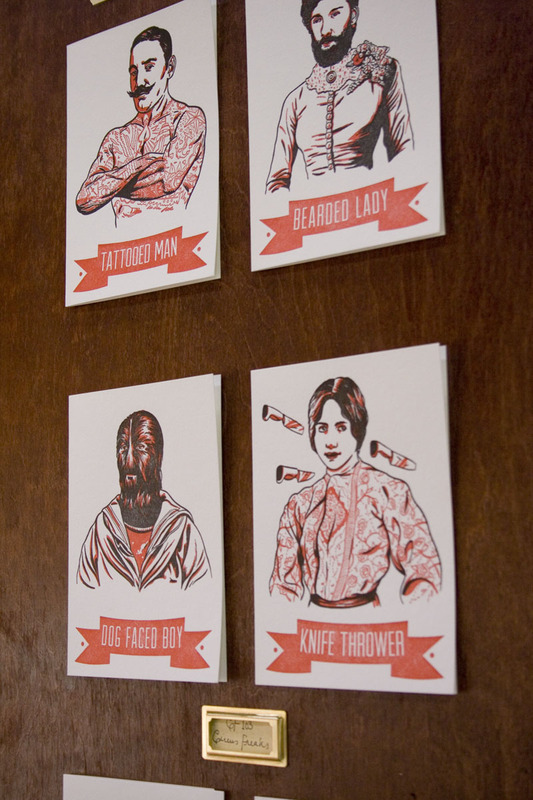 Our new Circus Freaks series was very striking on the wall. 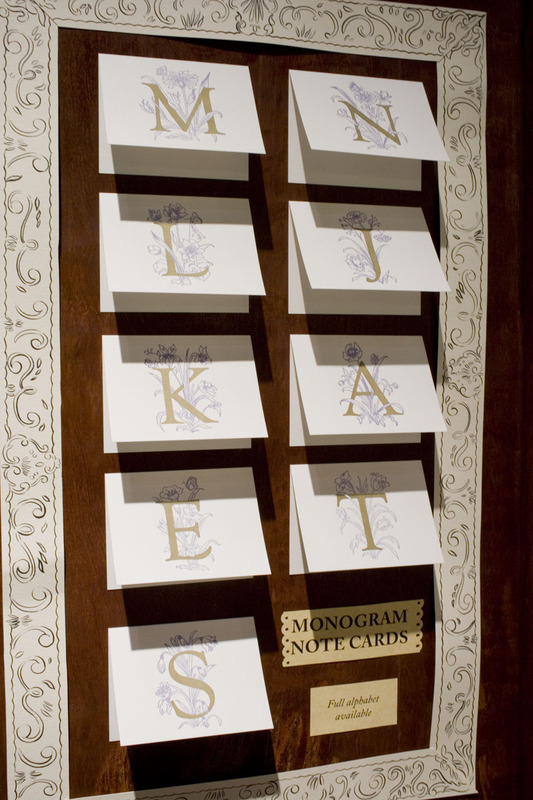 Our new monogram note cards looked sophisticated surrounded by our hand-drawn frames. The view down the street. Not bad. After 3.5 days of showtime, time to go home. The beauty of packing up after NSS is all the free gear you can pick up! We scored 2 sweet standing card racks and had the van not been so packed, we could have taken a beautiful sideboard (it hurt to just leave it there). I won’t lie, after the show we were EXHAUSTED. It’s 3.5 long, long days of smiling and chatting. It was all worth it, though, and we met tons of cool people. The next morning our van disappeared (along with booth, sweet new card racks and everything in it). Things got a little rocky at that point, but we eventually figured out that the van was not stolen but towed. After a trip to the Brooklyn Navy Yards and paying a hefty fine to the NYPD we finally hit the road, 4 hours behind schedule. We’re coming back in 2013!